Notre Dame de la Garde is a massive church with Byzantine architecture, located on a hilltop in the city. It is possible to go into the church and see the magnificent architecture from the inside and all the adornments. The view from here is also fantastic, and it's a great place to start your stay in Marseille a visit to this church will quickly give you an overview of the city. In order to get up to The Notre Dame De LaGarde, at an altitude162 metres altitude, it’s a good idea to take the tourist train that quickly and easily takes you up the mountain. This attraction in Marseille is a must for anyone who enjoys architecture and history, but also for those who just want to get a beautiful view of the city. 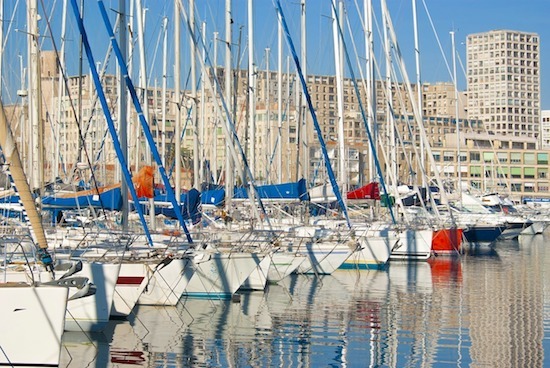 On the coast of Marseille you’ll find Parc Borely, which is a large park in a beautiful coastal environment. For those who are tired of wandering around among the buildings and expressways in the city, this is a great place to visit for a relaxing walk or to just sit down and rest. Overall, the park is seventeen hectares and has a wide range of green landscapes and bridges to explore. Stade Vélodrome is the place to visit for those who want to feel the passion of one of France's real football cities. Although Olympique de Marseille are not as good as they once were (they won the Champions League in the 90s), they are still one of the best teams in France and even if you’re not a football fan, a game can be a special experience for any visitors in the city. Marseille residents are probably the most passionate football fans in all of France and the atmosphere is usually good in the arena. In addition to this, the arena is of good calibre and is in itself an attraction. One of the most interesting museums in Marseille is Musée d'Archéologie Méditerranéenne. Here you can learn a lot about some of the world's first civilizations. With the help of the fantastic exhibits, the visitor can identify with what it was like to belong to a civilisation more than a thousand years ago. If you're looking for the perfect way to end your stay in Marseille, this is the best place. After seeing all that the museum has to offer, you will have learned a lot about some of our oldest ancestors and how much of their knowledge still remains in our communities. When you’ve checked out all the top sights and things to do in the central districts of Marseille, you can start looking for things to see and do outside the city. One of the most popular places to visit outside is Marseille's Parc National des Calanques. This national park is extremely beautiful and is high on various leaderboards where tourists have been voting for Marseille's main attractions. Parc National des Calanques is located on the coast and a little way south of Marseille. In order to get here you can either rent a car, travel by public transport or join a guided tour. The best way to see the National Park is perhaps by boat. From the boat you’ll get the opportunity to peer into the national park from the ocean and see the stunning coastline in a way that is impossible to do on land. For more information about the various organised boat trips from Marseille, you can ask at your hotel or at tourist information centres.